Freelancers are not your employee. I find this all the time, from freelancers and from people who hire them. It’s a very complicated relationship that needs much clearer rules to ensure that everyone is happy. There are many reasons which a freelancer might be hired. Maybe it’s a project that you cannot do yourself because you don’t have the skills, or maybe you simply don’t have the time. Either way, you need to reach out to get someone else on board. There are many websites to help you with this as well. Freelancer and Upwork to name just a couple. However, once you have hired your freelancer, you need to remember that this person runs their own business, has their own schedule, and also will be working for other people. 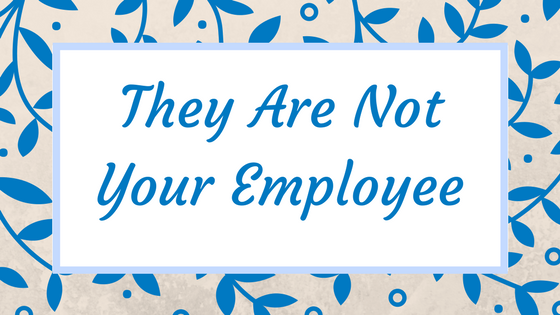 Unless stated in the contract when you hire them, they are not simply there for you. You cannot think of them as an employee who is dedicated to you and is at your beck and call. They will not always be available, and to be honest once you have hired them, you cannot control how they do the job as long as the job gets done. That’s what you are paying them for. • Educate yourself, learn their schedule so you know when you can contact them. • They will have other responsibilities, and a life too! • You can’t ask for rush jobs or added extras unless you are willing to pay more for it. The main thing I can suggest is to treat your freelancer like you would a client. Have mutual respect and you can build a lasting relationship. ← Is SEO Even Worth A Go?